Within the Pewter City Pokemon Center, you will find a man who will sell your trainer Pewter Crunchies for $500 each and every day. Believe it or not, this is one of the few known ways to obtain this rare item. Every single day, the hidden Items found within the caves across the Kanto Region will reset. 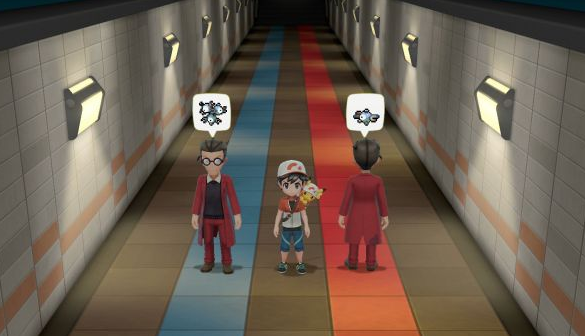 This allows trainers to head back to said areas in order for their Starter Partner Pokemon to find these special items. These items include Evolutions Stones and Fossils. Near the Pewter City Museum, you will find a woman with her Slowpoke. On a daily basis, she will ask you to watch her Slowpoke for her while she goes and runs an errand of sorts. Even though there isn't much to babysitting the Slowpoke, she will still reward you with a Big Pearl for your troubles. After obtaining the Chop Down Secret Technique on the S.S. Anne and then departing the ship, you will meet a Pokemon Trainer that goes by the name Mina. She is a Trial Captain from the Alola Region that is presently visiting the Kanto Region, and she will actually challenge you to a battle the first time you meet. After defeating her, you can rematch Mina on a daily basis. She will give you a Bottle Cap each time you win against her in battle, with her team improving after you have defeated the Elite Four. After defeating the Elite Four and becoming the newest Kanto Region Champion, you can rematch each and every Gym Leader back in their Pokemon Gyms (including the newest Viridian Gym Leader, Blue) on a daily basis. All of their Pokemon Teams will be much stronger this time around. After defeating the Master Trainers included in the Post Game Master Trainer Challenge, you will actually be able to battle them on a daily basis. The same rules will apply when you do rematch them, however, with your trainer only being able to use the same Pokemon they are a Master at using. FAQs, Hints, Tips and More! No discussions open for Pokemon: Lets Go Pikachu at the moment.